Learn about Tampa, Florida by reading Travel Tampa for Terrific Time by Charlie Spence, Aviation Writer. It features a mini, but thorough tour of the destination, plus all you'll need to know to plan your trip including getting there, objective information on places to stay and eat, and things to do. At the end of the article, we've provided a summary of the contact information for your easy reference. Enjoy! My introduction to the Tampa area was several decades ago when I was working for the Hearst Newspapers and sent to Tampa to assist in the introduction of The American Weekly Sunday magazine. With one afternoon open, I went to the Peter O. Knight Airport, rented a Cessna 172, and from that vantage point in the sky surveyed the area. I’ve been fascinated with the Tampa region ever since, as you, too, will be once you experience what this place on Florida’s west coast has to offer. Almost any time of the year you choose to visit, Tampa will have some kind of festival. The city uses any excuse to break out the fireworks, parade floats, and live entertainment. These range from traditional St. Patrick’s Day parades to a Victorian Christmas Stroll with Strawberry Festivals, Winefests, Festa Italiana, and many other special celebrations in between. This is a community that welcomes families with excellent attractions for young people but also gives adults a diverse choice of attractions. Busch Gardens has the highest roller coaster in Florida and also one of only three inverted roller coasters in the world. Water lovers have choices of exploring. At the Florida Aquarium certified SCUBA divers (15 years or older) may come face to face with five different species of sharks from around the world. The less adventurous may want to swim with the fish in the aquarium’s Coral Reef, a 500,000 gallon tank with more than 2,300 fish. Several other extreme options include shark feeding and close encounters with the African Black-footed Penguins. An enjoyable way to get to the Florida Aquarium is by streetcar. This 2.3-mile track connects downtown with Ybor City (pronounced EE-bore) with eleven stops along the way including the aquarium, Convention Center, Port of Tampa, and Centennial Park in Ybor City. Centro Ybor is Tampa’s Latin Quarter which includes the historic Centro Espanol social club, multi restaurants, shops, comedy club, and museum. On Ybor City’s Seventh Avenue the aroma of cigars lingers in the air day and night. Ybor City was the “cigar capital of the world” with more than 200 factories employing 12,000 people until Fidel Castro came to power in Cuba and an embargo was placed on tobacco from Cuba. Now this is designated as an historic landmark. A museum has colorful exhibits of cigar-making which was the first industry in the Tampa area. Youngsters and adults alike will enjoy the Museum of Science and Industry (MOSI) where one may feel the rumble of a rocket launch or gently touch a butterfly. MOSI is the largest children’s science center in the country and there are interactive games for “kids” of all ages. Natural phenomena occupy an entire floor of MOSI where kids can step into chambers where they can experience a hurricane, tornado, or wild fire. While you are in the discovery mood there are several places where you can get unique looks at the great outdoors. Stroll through University of South Florida’s Botanical Gardens where you will see natural collections and displays that include orchids, begonias, ferns, fruit trees, carnivorous plants and a great deal more. Or, take some time to surround yourself with natural beauty at Canoe Escape where you can also paddle down the Hillsborough River and see dozens of alligators on the banks or sunning themselves on logs. Another discovery can be found at Skydive City. Florida’s climate makes this area an ideal location to enjoy the thrill of leaping from an aircraft. Seasoned divers and neophytes are welcomed at Skydive City. With as little as 30-minutes training, a person who has never jumped can take a tandem diving experience, attached to a professional jumper. While thinking of climate, keep in mind that Tampa boasts excellent beaches for those hours in the sun. 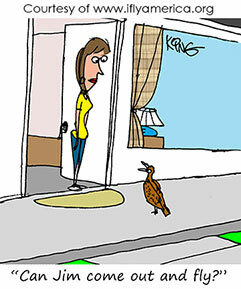 The average winter temperature is 65.5 degrees Fahrenheit and in summer it is 81.4 degrees. The port of Tampa is growing as a port of departure for cruise ships resulting in numerous attractions opening near the port. Here you will find the aquarium, Dolphin Quest eco-tour, a hockey and concert arena and other centers of interest. 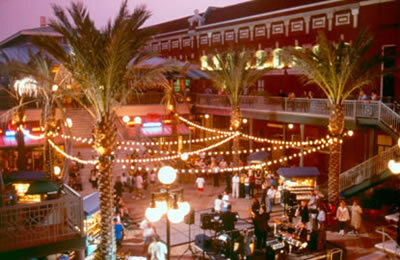 Ybor City offers good restaurants, night clubs, and entertainment. The Improv Comedy Club in Centro Ybor has routines to make you continue laughing all the way back to your hotel. Another spot for your evening enjoyment is Channelside Bay Plaza. Here you will find shops, restaurants, movie theaters, and nightclubs all in an open-air waterfront atmosphere. Tampa is the site of many historic events, many of which can be found detailed in several museums. Tampa began as an Indian fishing village. The native tribes called it “Tampa,” which means “sticks of fire.” Early explorers on their maps began spelling it “Tampa.” In 1884, the railroad was extended to Tampa and that’s when the growth began. Only 14 years later, when the United States had declared war on Spain, Theodore (Teddy) Roosevelt organized the “Rough Riders” at the Tampa encampment. The airline industry started here. In 1914, the first regularly scheduled airline flights began between Tampa and St. Petersburg. Whether you want to soak in the charm of a collection of Salvador Dali’s unique art at a museum, enjoy shows from grand opera to a Broadway series, swing it at a local night spot, explore the crocodile-lined river, or just loll around in the sun, Tampa is a place to find it all. Once you have been here, Tampa is the kind of place you want to return to again and again. Notice: This information is current as of November 2010. It is recommended that you contact the numbers, and/or visit the websites above to determine any changes to the information. Eighteen airlines serve the Tampa airport with non-stop service to 60 major cities, making it possible to have easy national or international connections. AMTRAK National Rail passenger service operates out of historic Tampa Union Station offering north and south routes and connections to links to nationwide travel. Bus service is provided by Greyhound. If you are driving, I-75 run north and south bypassing Tampa and I-275 goes through the city and over the Bay. Each of these connects with I-4 which goes east and west. Make your reservations before you go through IFA’s Online Travel Booking Service. Significant hotel and car rental discounts may apply. Your dining choices in Tampa are extremely varied. With the ethnic mixture in the area, one you will want to try is The Columbia Restaurant, Florida’s oldest and the world’s largest Spanish restaurant. It is family owned for more than 100 years. It has Spanish/Cuban cuisine and flamenco dancing is featured every night. The Green Iguana in Ybor City has entertainment seven nights a week. Wine Spectator magazine named Bern’s Steak House the best of all steak houses in America. America Eats Out calls Bern’s “the most remarkable restaurant in the entire world.” It has been owned and operated by the same family for 50 years. Oystercatchers serves seafood fresh from the Gulf of Mexico. Tampa is home of a number of original locations of national and international franchise restaurants. Among them are: Outback Steakhouse, Hooters, and Checkers.